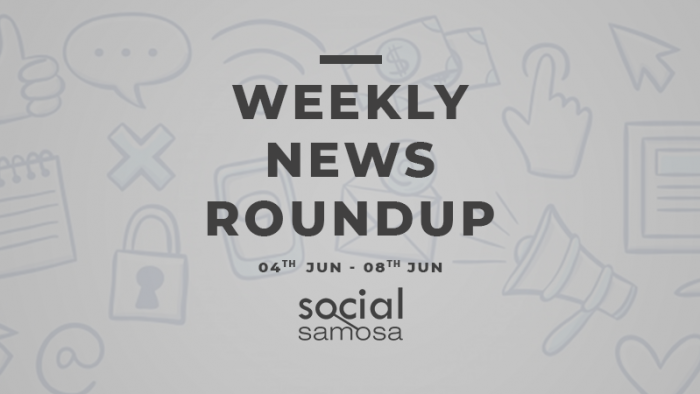 This week’s social media news featured prominent reports of Instagram’s rumoured push towards video content to battle YouTube, attempting to create a separate Snapchat Discover style tab. Instagram also rolled out an update that allows users to reshare Instagram Stories that they are @mentioned in, making it easier for a group of people to reshare content and presenting it from one circle of followers to another. The other social media news that surfaced this week was Facebook’s decision to do away with the Trending News section on the News Feed, instead bringing in a more significant stream of news content through a partnership with international news publishers, offering it a place on Facebook Watch and more news from YouTube, and other platforms. Facebook announced Facebook Stories Ads which can be run by extending Instagram Stories ads or by transforming their newsfeed ads into it, by reformatting like adding text and resizing it to match the dimensions. Read more about it here. Facebook Trending News section is soon to bid adieu, to make way for future news experiences. Launched in early 2014 to help people discover popular topics across community, the Trending News section will shut down soon. Check out why Facebook is shutting down Trending News, here. The LBGTQ community on Facebook is an integral and celebrated part of the company, and swear by the importance of representation and having a community matters — whether that be LGBTQ people sharing photos that can change hearts and minds, or by using Facebook products, like Groups, to find a supportive network. Read more about it here. Soon you might find yourself not cribbing about the length constraint of Instagram video as the popular photo and video sharing app is mulling over introducing a ‘new feature’. The update will allow users to post hour long videos paving way for more creativity and easy accessibility. Read more about it here. Reportedly, YouTube is in the process of strengthening their news positioning with key hires that will help them take on the problem of fake news and competitors like Facebook. YouTube might be attempting to strengthen their exclusive news stance with by gratifying news publishers for exclusive content or is promoting verified news creators to deal with the widely faced fake news problem. Read further on how YouTube plans to tackle fake news here. After rumours of a YouTube competitor from Instagram were reported by Social Samosa, a fresh wave of new information suggests Instagram is chatting up social media celebrities and content creators about a separate, dedicated Instagram Discover tab that offers a perfect blend of long-format content like on YouTube but presented in a way similar to Snapchat’s Discover tab. Read more about it here. Instagram @mention to allow users to share stories they’re tagged in! In a recent development, Instagram has announced a new update titled Instagram @mention adding which will allow its users to repost the stories that they will be mentioned in, effective from today onwards. Check out how to reshare @mentioned Stories here. After Facebook began to notify users about their decision to do away with the ‘Trending’ Section on the News Feed, the company is instead taking their commitment towards showing Breaking News a bit more seriously with Funded News Shows on Facebook Watch. Know more about the international news partners and shows that will make their way to Facebook Watch, here.